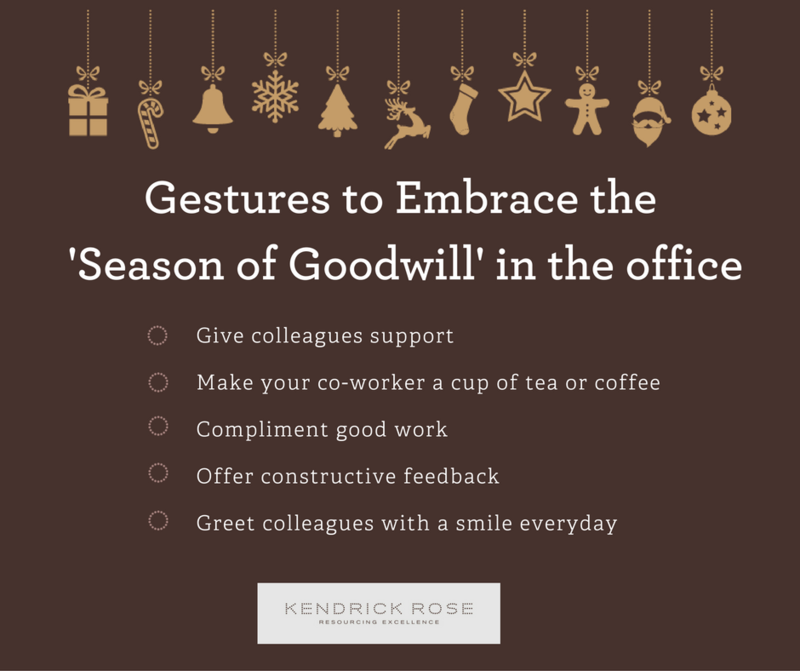 Over two thirds (68.9%) of workers say that they are made happy by goodwill gestures from their colleagues, with a further 84.2% stating that they return the favour. CV-Library, which also found that 91.9% believe that these gestures help them to build relationships with co-workers. The survey, which explored the attitudes of over 1,100 UK workers, found that the majority of employees (90.5%) believe that these gestures make the workplace a more enjoyable place to be. Now is a great time of year to go the extra mile. As thoughts turn to 'goodwill to all men' (and women) we can all take small steps to brighten someone's day. Appreciation breeds appreciation. When we feel appreciated we get that 'warm inside' feeling, naturally, we want to pass it on. It may sound a bit corny but when employees feel valued and respected, they tend to show it in the workplace and to their clients, families and friends. Let us know on social media how your acts of kindness have made a difference.